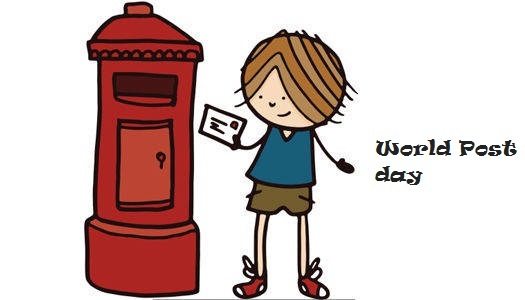 World Post day, the day intends to promote new postal services, and increase public awareness about the postal system. The day also celebrates the anniversary of the creation of the Universal Postal Union. This union creates and maintains a postal system for the free flow of mail around the world. From earlier days onwards exchanging messages among the people who travel long distances were popular. And by 1600s and 1700s, many countries introduced national postage systems . On September 15, 1874, Heinrich von Stephan, senior postal official in the North German Confederation (an area that now forms parts of Germany, Poland and Russia), opened a conference in Berne, Switzerland, with delegates from 22 countries. And by October 9, 1874, the delegates signed the Treaty of Berne and established the General Postal Union. Several countries that were members of the General Postal Union grew rapidly and the union's name was changed to the Universal Postal Union in 1878.and on 16 November 1969, October 9th was declared as World Post Day.